GREENSBORO - The search for a new Defensive Coordinator is over, as the Cobras have promoted Assistant Coach Joshua Resignalo to the position. 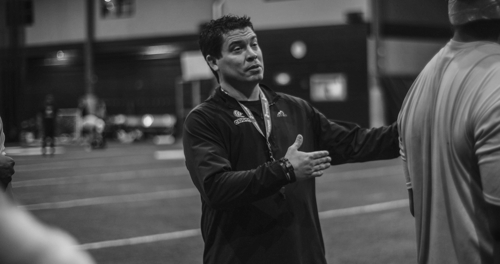 Resignalo has a long and successful history of playing and coaching arena football in various leagues since 2006, beginning after his time as a Marine. As General Manager/Offensive Coordinator for the Atlanta Havoc (now the Carolina Havoc) of the American Arena League, Resignalo led the team to an AAL championship, while also earning General Manager of the Year. Resignalo played an integral role in relocating The Havoc from Atlanta to Florence, South Carolina, while temporarily assuming Head Coaching duties there before joining The Cobras. “We're both, in a sense, going for back-to-back championships,” mentions Resignalo about his and Head Coach Billy Back’s title quest. In the off-season, Resignalo looks forward to developing young talent as the Offensive Coordinator for Western Guilford High School's football team.